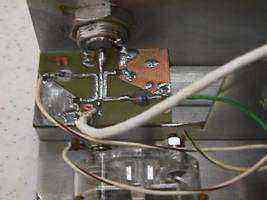 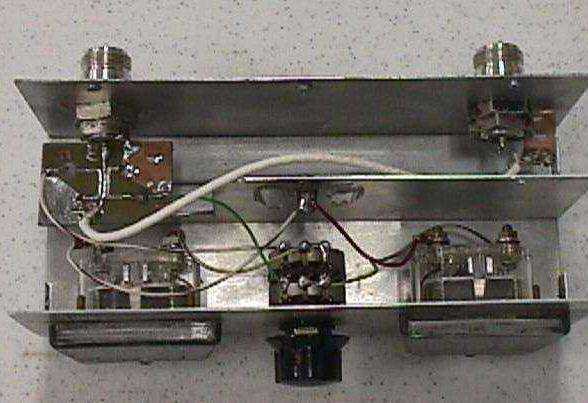 Picture of the homebrew directional coupler, microwave diodes and the RF bypass capacitors. 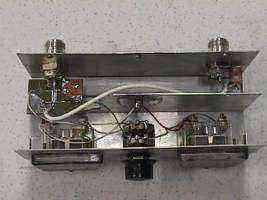 Outside of the case and the meter elements. 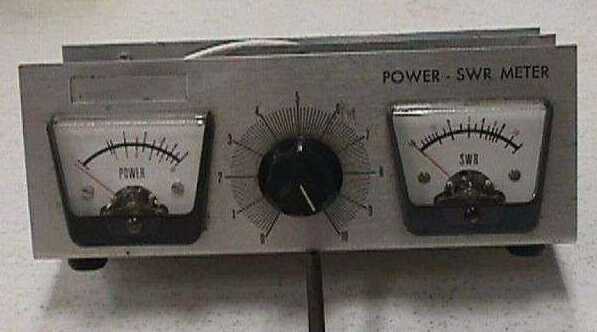 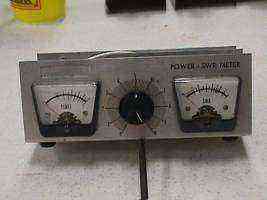 The meters and case were originally from an old HF RF power meter / SWR meter.